Our high security locks use a restricted key system. They are patented and can only be duplicated by authorized locksmith dealers. These keys can even use signature verification to prevent the key from be duplicated by an unauthorized person. 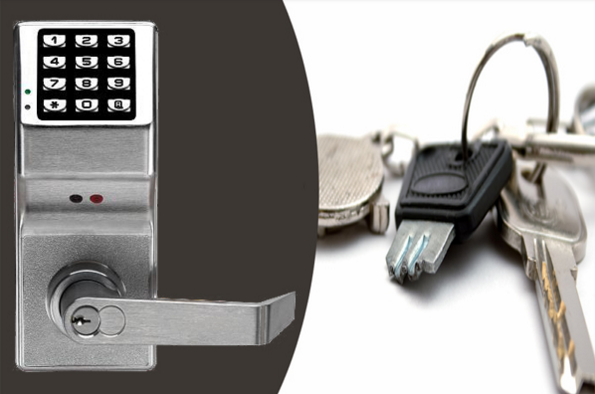 Our locks will help you to keep tight control on who has copies of your home keys. This is one of the key reasons why you should have high security locks installed in your home. An alarm will be triggered if someone tries to gain forced entry in your home. Our locksmith will integrate the lock with your home security system. This makes it easy for home owners to respond immediately in case there is an attempted entry to your home since they will receive security alerts wherever they are. They are made with hardened steel and brass and have strong components that make them unique in quality. Our high security locks are simply built better. Having a lock to secure your door that is built in a tough way is essential. Our locksmiths will ensure that you get the right quality and you are properly protected. These locks are much better than standard door locks. Our locks come with high security codes. These codes can be changed with the home owner’s permission. In case a friend or a family member visits, you can give them the security codes. Later, you can reset the codes. 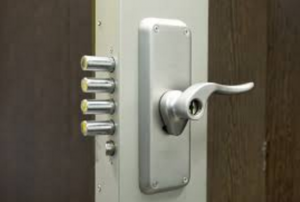 Our locks are designed in such a way that they have the capacity to resist any drill attack. This will make it impossible for criminals to intrude into your home. They also come with interlocking deadbolt. 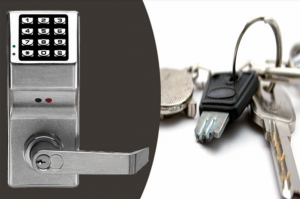 Our high security door locks operate on a battery. The lock will work effectively even when there is no power. Some intruders can cut the power lines but our locks will continue functioning as usual. This will make the home owner feel more comfortable even when he or she is away from home for a long time. Protecting yourself from forced entry by criminals should be one of your top priorities. You don’t have to worry anymore. Instead of installing the standard locks in your home you can have our locksmith update your home with high security locks. Call our professional locksmith today to have these amazing locks installed in your home to improve the safety of your family at all times. Just had a couple Kevo's installed at my home and couldn't be happier. The y got the job done quick and correctly at a good price. I will keep them in mind if I ever need a locksmith again. These guys came and installed a iTouchless fingerprint lock last week on my office door and it may be the coolest lock ever! But besides that, they did a good job and even took the time to walk me through the different features of the lock.